Nutraid is an online platform that helps manufacturers in calculating recipe nutrition data and creating EU 1169 and FDA-compliant food labels. The web-based software can be accessed from any phone, tablet or desktop for one or multiple users per account. All recipes are stored encrypted, and users can choose to save their recipes online or on their own computer. 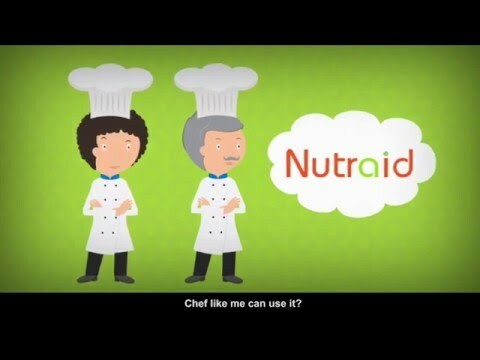 Nutraid’s platform enables instant recipe creation and label production with a single click, including nutritional information, allergen indicators, quantitative ingredient declaration (QUID), recommended intake (RI), recipe costing, water loss and more. The smart recipe management tools include recipe editing, duplication, and categorization, and the ability to create sub-recipes which can be used to simplify product updates and the creation of product variants. With Nutraid, users can access ingredients from a range of approved databases, or add their own custom ingredients as necessary. Label formats are regularly updated to maintain compliance, and several European languages are supported for automatic label translations. In addition to generating product labels, Nutraid can also be used to trial and compare multiple variants of recipes or products to meet changing nutritional requirements. There are currently no reviews of Nutraid. 10 Recipes Package: €100 for one year. 20 Recipes Package: €160 for one year. 1 Year Subscription: €216 (€18/month). 2 Year Subscription: €360 (€15/month). • Users can create, edit, duplicate, and categorize recipes and utilize sub-recipes for product updates and maintenance. • Nutritional analysis can be performed instantly for any ingredient, recipe, product, or menu, including details of allergens, vitamins, reference intakes (RIs), and more. • One-click label translation enables the creation of nutrition labels in French, Spanish, Portuguese, Italian and German. • Nutrition analyses and labels are fully compliant with EU 1169 and FDA standards, with regular updates to meet the latest legislation. • Recipe costing functionality allows users to view the cost and cost breakdown of products for budget control and management. Below are some frequently asked questions for Nutraid. Q. What type of pricing plans does Nutraid offer? Q. Who are the typical users of Nutraid? Q. What languages does Nutraid support? Q. Does Nutraid support mobile devices? Q. Does Nutraid offer an API? No, Nutraid does not have an API available. Q. What other apps does Nutraid integrate with? Q. What level of support does Nutraid offer?